Our goal is to connect people with the best local experts. We scored wedding photographers on more than 25 variables across five categories, and analysed the results to give you a hand-picked list of the best wedding photographers in Boca Raton, FL. The artists at 4th Avenue Photo & Video have over three decades of experience in the industry between them. The qualified team provides a variety of photography services, including product photography, real estate photography, portraits, and wedding photography. Videography services are also provided. The team’s film background gives them a special talent for visual storytelling, and the artists promise a new and interesting approach to each clients’ request. Amber Sycz Photography does weddings and portraits, offering her services near her Deerfield Beach, FL base, and abroad. Amber has been shooting weddings for nearly a decade and calls her style “modern documentary.” She enjoys creating perfectly candid moments that capture her subject’s inner essence. Happy clients praise Amber’s sweet nature and fantastic ability. AP Photo & Video has over two decades of experience making memories for couples in South Florida and beyond. The company promises that all photographers and videographers are instructed according to a set formula, which creates fantastic results time and time again. The team’s style places importance on storytelling. AP Photo & Video offers a number of packages, suiting a variety of budgets. The company was included in Wedding Wire’s Couples’ Choice Awards 2016. Cheryl & Jay provides wedding and engagement photography in South Florida and beyond. The duo is ready to photograph at any destination wedding and has previously shot weddings both locally and abroad. Cheryl & Jay make a point of getting to know each couple, meeting clients a month before the wedding to go over all the details. The team stresses storytelling and authenticity in photos. Cheryl & Jay have been featured in Evolving You, Looks Like Film, Extreme Makeover, and more. Chris Kruger Photography offers wedding and engagement photography in South Florida. The artistic team specializes in sharp, clean, and timeless photographs. Chris Kruger promises a photojournalistic style in all wedding photos and strives to capture the complete love story. The photographer can also recommend vendors in the area, helping to advise on more than just the pictures. Crystal Bolin Photography offers lifestyle wedding and portrait photography from West Palm Beach. Crystal is also willing to travel abroad for any destination affair. Crystal works with her husband, who acts as her second photographer, and stresses a classic feel in her work. She promises to capture the exuberant happiness of the big day in her wedding photography. Her work has been featured in Borrowed & Blue, Nearlyweds, Elegant Wedding, and more. Emily Harris Photography provides wedding and lifestyle photography from Hollywood, FL. The team does documentary photography with a focus on storytelling. Aaron and Emily are a husband and wife photography team that promises to make couples feel comfortable in their own skin. Emily belongs to the Wedding Photojournalist Association, and the team’s work was featured in IT! Weddings Florida. Gloria Ruth Photography provides wedding and engagement photography services to Fort Lauderdale, Miami, Marco Island, and West Palm Beach. Photographer Gloria Ruth’s experience as an on-site film photographer contributes to her unique approach to wedding photography. She specializes in cinematic photography and loves to tell the story of each couple in her work. Gloria Ruth Photography has been featured on Brides.com, The Knot, Borrowed and Blue, and more. James Minns Photography offers wedding, bridal, and portrait photography in South Florida. Minns specializes in fine art photography that has a high fashion style. Minns also stresses authenticity in all his photographs, striving to capture the true personality of all his unique clients. James Minns photography offers in-person as well as Skype and FaceTime interviews and has been featured in The Knot. Jill Erwich Photography provides photography services to South Florida. She can take care of all photography needs from weddings and engagements to newborn and family portraits. Clients praise Jill’s discerning eye and personable character. Her quality work is often included in Wedding Wire’s Couples’ Choice Awards. Kim Kinsella offers lifestyle photography in South Florida. She provides photography services in the counties of Broward, Palm Beach, and Dade. Though her skills can cover a broad range of subjects, Kinsella specializes in photographing weddings, newborns, children, and events. Happy clients praise Kim Kinsella’s high-quality work and professionalism. Lara Rios is a wedding and lifestyle photographer in Fort Lauderdale. Her wedding photography focuses on the complete picture, capturing the total experience of the wedding day with friends and family. She specializes in outdoor weddings with plentiful natural light. Rios’ work has been featured in Wedding Illustrated, The Knot, Modern Luxury, Style Me Pretty, and more. Amanda Martin of Lovely Bee Photography is a wedding, lifestyle, and portrait photographer capturing special moments in South Florida. She is a mother and fiancé, who lives for photographing the intimate details and moments between loved ones. Her work has been featured in Southern Bridal, Melissa Hearts Weddings, Boundary Stone Baby, and more. Maggie Stolzberg Photography is a photography studio based out of Boca Raton that specializes in telling the romantic stories of weddings through beautiful, vivid photography. 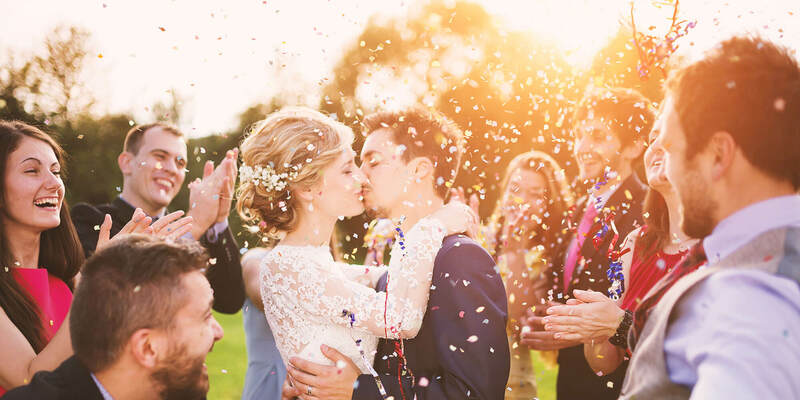 Owner Maggie Stolzberg and her husband focus on creating intimate, personal connections with clients and their wedding guests to ensure every facet and emotion of the special day is captured. The studio works in color and black and white and is excited to shoot both local and destination weddings. Past clients love the compliments they've received on their wedding photos and praise Maggie and her husband for their friendliness, kindness, and exemplary support. Moriah Cuda and her husband provide wedding and engagement photography services in South Florida. The husband and wife team will also travel to shoot destination weddings, going abroad as long as travel expenses are paid. The pair is licensed and has been shooting together for years, communicating seamlessly to truly capture every little detail. Moriah Cuda Photography was featured in Wedding Wire’s Couples’ Choice Awards 2016. Palm Beach Photography, Inc. provides South Florida engagement, wedding, and family photos. Owner Tonya is a wife and mother, and runs a team of inspired artists with over five decades of combined experience. The team takes a photojournalistic approach to photography, and respects tradition, while also adding a contemporary touch to pictures. A special website and flash slideshow come standard with wedding packages. Palm Beach Photography made The Knot's Hall of Fame and has been included in Wedding Wire's Couples' Choice awards for many years. Robert Perez Photography provides photography services for once-in-a-lifetime events, such as births, engagements, and weddings. The Wellington-based photographer works throughout South Florida, placing an emphasis on customer service and offering a variety of affordable packages to suit any budget. Satisfied clients speak highly of Robert Perez’s professionalism and creativity. Sentimento Photography is a South Florida wedding photographer that provides a variety of services. Two skilled photographers can take on engagements, weddings, and portraits. Not only does the team provide its services at events in South Florida, but couples can also book the pair for special events abroad. Happy clients praise the quality work and easy-going nature of the Sentimento Photography team. Victoria Genova offers her photography skills to all of South Florida. She loves capturing moments of all kinds but specializes in wedding, maternity, newborn, child, and family photography. She has a contemporary style while still playing homage to tradition, creating truly classic photos. Clients praise Victoria Genova’s thoughtfulness and creative eye. Wedding Nature Photography provides wedding and engagement photography in the Miami area and beyond. The team specializes in outdoor photography and has a soft, romantic style. Both documentary and fine art photography concepts are utilized in photos. Wedding Nature Photography has been featured in Style Me Pretty, Ruffled Blog, The Knot, Wedding Chicks, and much more.